The UK Gender Gap Reporting Calls Into Question Those Big Companies With Perfect Scores. The Answer Is More Reporting. That’s because I’m worried about whether our legitimate desire to quantify and explain is making it easier to justify and excuse. The law allows employers to pay men more than women when those men are more qualified, better performers or doing more complex or higher skilled work. But I am not convinced that we have the right tools to make those distinctions consistently, fairly and objectively. So I tend to question pay equity analyses that just focus on identifying and applying differences between employees. An explanation may not be an explanation. And it certainly might not be a justification. Can we be so confident these really are objective, meaningful distinctions in practice? Can structural gender and race bias and cultural norms affect the inputs and the outputs of the decision making process? Do we have the right data to really answer the question of whether these differences even exist? While some places are better than others, it’s hard to find a situation where every difference is satisfactorily explained and justified. It’s hard in our imperfect world to get a perfect score. And yet, the last couple of years have seen major US tech companies triumphantly announce they have virtually no gender and race wage gap. These studies are, to put it mildly, at odds with other estimates of pay gaps in the industry. I find them disturbingly perfect, but without disclosed methodology, who is to say if they are accurate? Now we can bring at least one more data point to this debate. The UK has implemented an important new law requiring many companies to disclose aggregate gender pay gaps, so we can begin to see more clearly the kinds of distinctions – and excuses – that may be in play. And the questions we should be asking. To take just one example, Microsoft’s 2018 UK report shows a 17% aggregate gender pay gap, with men making over 8% more than women in median hourly pay and more than 11% more comparing median bonuses. At the same time, Microsoft’s report states that when it comes to “equal pay for equal work” women working in the UK earned 99.8 percent of what men earned “at the same job title and level” – comparable to their 2017 U.S. report showing almost perfect pay parity for women and men (and for white employees compared to employees of color). What does this mean? How can there be both a gap looking at it one way and no gap looking at it the other? It probably means that there are differences between the numbers of men and women at particular job titles and levels, with men more likely to occupy higher paid positions. That’s a useful piece of information! It suggests that Microsoft, like its peers, has more work to do when it comes to gender equity. In particular, the path to addressing the aggregate wage gap probably includes looking at trends and factors around advancement opportunities, hires and exits, or challenging assumptions around technical job paths and cross-functional work. But since we can’t see much beyond these two sets of numbers for the UK workforce, it’s hard to know exactly why they are different. And we don’t have the comparable US aggregate numbers, meaning we know even less about what the 2017 US report might really mean. Getting to a virtually perfect score on a gender or race pay gap analysis can also mean making some potentially questionable technical adjustments — like excluding any pay differences that didn’t meet a certain statistical test, or not even analyzing any jobs or levels with very small numbers of women or people of color. Or disaggregating the analysis too finely, which can obscure patterns of disparity. 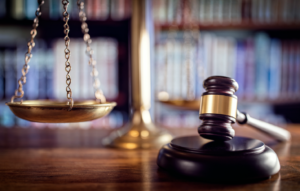 Even if those decisions are valid and defensible in a particular case, it’s important to know about them when evaluating the bottom line number. There are other things that I always want to know when looking at pay equity analysis, some of which are specific to certain industries or types of jobs. In industries like tech, law and finance, whether the study analyzes base pay or also includes bonuses or stock, has a big impact on the size of the pay gap. For hourly and part time work, a gap may be based on differences in hours of work, or overtime, even if there is no difference in the rate. Are there controls for performance, tenure or other factors? If so, how are they measured? Considering the effect of factors and explanations and constructing a good model based on proper comparisons is important in any pay equity study. But it’s also important to question each assumption and understand why and how a particular explanation or approach changes the result. It’s even more important to report on those choices and why you made them, allowing others to evaluate whether they are legitimate or not. If the reason there is no statistical pay gap is there weren’t enough women in higher level jobs to study, that fact should be reported and considered as relevant piece of information that could place a 99.8 percent figure in proper context. A study that finds no pay gap for individuals at the same title and level might a very accurate depiction of wages, or it might also just be very, very good at justifying pay differences that do exist. When I do a pay equity study, I want to learn as much as possible from the data. I want to know where there are issues and barriers, where policy or practice or culture or technology is helping promote more equity and inclusion and where it is holding the workplace and workers back. Identifying legal liability and good risk management are important, but so are productivity, competitiveness and efficiency. Ultimately, a gender or race pay gap is like a compensation program stress test. It can help identify disconnects between what compensation should be based on and how it is actually working in practice. Even if a pay difference can be “explained” for purposes of defending against a charge of pay discrimination, it might still be problematic. It might still be hurting individual workers and the workplace as a whole. A pay equity study can embrace some real complexity and still be good PR. 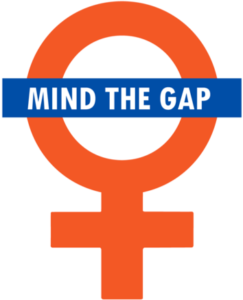 Buffer, a tech company which has transparent pay (based on an objective salary calculator to ensure clear and consistent compensation levels for its employees), also released its 2018 pay gap analysis with all the numbers – aggregate gaps, adjusted gaps, differences by team and level, and a description of barriers and challenges to full equity that they are still working on. More methodology would be helpful, but this is a more useful way to think about the numbers. So more reporting, of all kinds. More context, more analysis and inquiry. It’s an imperfect world. I don’t buy your perfect score. http://www.workingideal.com/wp-content/uploads/2016/12/WorkingIdeal_Logo-RGB-300x155.png 0 0 Pamela Coukos http://www.workingideal.com/wp-content/uploads/2016/12/WorkingIdeal_Logo-RGB-300x155.png Pamela Coukos2018-04-10 15:03:262018-04-17 13:37:11The UK Gender Gap Reporting Calls Into Question Those Big Companies With Perfect Scores. The Answer Is More Reporting. Decades of Well-Meaning Responses to Sexual Harassment Have Failed. Can We Do Better? It’s finally out there for everyone to see. Not just that sexual harassment and sexual assault pervades the workplace — but that decades of well-meaning responses have failed. Sexual harassment training has little to show for itself, and might even be counter-productive. Human resources departments and reporting mechanisms are have conflicting mandates and little institutional power, making them ineffective or even complicit in covering up harassment. Formal policies primarily designed to satisfy the lawyers are unlikely to protect workers from the harm of harassers in their workplace. Employers still frequently turn to these three core interventions — training, complaint procedures, and written policies — that we know are fundamentally broken. It’s time to take a hard look at how we respond to sexual harassment and other forms of workplace discrimination, and identify better tools and more effective approaches. Researchers who study harassment, bias and discrimination in the workplace have been telling us for years that typical training, reporting procedures and workplace policies don’t measure up. The kind of mandatory, compliance-focused, one-time training that is quite popular isn’t designed to address the deep cultural and structural reasons sexual harassment persists. We have good reason to doubt whether training can improve behavior — and we are worried it might increase the chances of backlash. Setting up a grievance procedure or writing a sexual harassment policy, especially when it is primarily a lawyer-driven risk management tool, can become a “check the box exercise” in mere symbolic compliance. And one recent study highlights how gendered frameworks and cultural cues may affect how people interpret these policies, making it easier to protect harassers from accountability. All that is validated as we hear more and more individual stories, of women (and men) who tried to stop abusers and report harassment and assault and were ignored or even punished for speaking up. Which only led others to conclude it simply wasn’t worth it to report – or to intervene as bystanders. First instead of turning to generic “sexual harassment training,” think broadly about organizational learning strategies and how your workforce can be a resource rather than an audience. Employees at all levels are a wildly underutilized resource, even though they often understand best how to make their workplaces better. Engage employees to be more effective bystanders and empower affinity groups and internal committees to provide a collective voice for the interests of workers experiencing harassment and sexual violence at work. If your workplace is unionized, management should partner with worker representatives to establish safe and effective reporting systems. And when you use training, target learning agendas in ways that make sense, like ensuring every supervisor understands their responsibility to prevent and address workplace bias and to build an inclusive culture. Don’t just assign your HR office to handle complaints on the side — build a real and independent function that provides safety to workers who report and holds individuals who violate workplace rules and norms accountable. That might mean an internal ombudsperson who has the clout and integrity to conduct meaningful investigations and deal with real problems, or an external service that helps workers strategize confidentially and get support, or some combination of these approaches. Organizations that lack accountability and transparent and effective complaint procedures are more vulnerable to harassment. And understand your policy as not just a written document but a whole set of practices and structures that guide how your workplace operates and its level of equity. Organizations should look at who holds power and whether women have an equal opportunity to advance and address those issues. Companies that have higher levels of gender equity seem to have better track records when it comes to workplace harassment. While it’s no guarantee against harassing conduct, it may help and is important in its own right. Finally, remember that gender-based sexual harassment is just one of the ways bias and abuse can manifest in the workplace — and that it can exist alongside and interact with harassment and discrimination based on race, sexual orientation, gender identity, disability and the whole spectrum of identities we bring to work. Our national conversation about sexual harassment and assault in the workplace is long overdue. And we should take the opportunity for an equally overdue reckoning with these well-meaning but failed responses. Building an inclusive and safe workplace is not just about the right intent. It takes commitment. Employers who are ready to ask the hard questions about what works and rethink their approaches have the chance to be real leaders in the fight against harassment. http://www.workingideal.com/wp-content/uploads/2016/12/WorkingIdeal_Logo-RGB-300x155.png 0 0 Pamela Coukos http://www.workingideal.com/wp-content/uploads/2016/12/WorkingIdeal_Logo-RGB-300x155.png Pamela Coukos2017-11-29 09:16:122018-04-15 12:41:44Decades of Well-Meaning Responses to Sexual Harassment Have Failed. Can We Do Better? The EEOC report may be on hold, but pay data reporting isn’t going away. Last night the EEOC announced that its new pay data report is on hold and will not be implemented as scheduled in March of 2018. Working IDEAL supports the EEOC pay report as an important tool to move us forward on closing the wage gap. Increasing the number of employers that monitor their pay data and practices regularly is essential to closing the pay gap — required reporting will motivate employers to work on improving their data and systems so they can do it better. Research shows that measurement and increased accountability are one of the best ways to improve EEO performance, and boost diversity, equity and inclusion. In other words, what gets measured gets done. Requiring companies to regularly analyze and report their gender and race wage gaps focuses management on an issue of increasing importance to stakeholders, regulators and the public. It creates a mechanism for them to assess and improve their performance over time. Reporting also makes it more likely companies will find problems when they exist and take voluntary measures to fix them. This is good for workers and employers — and avoids potential enforcement actions. Using (and reporting) benchmarks by industry, size and other factors makes it easier for the agency and employers to identify problems by comparing their own data to benchmark values, and helps target enforcement and voluntary compliance resources. It’s very disappointing that this will not be moving forward now. But employers who take this issue seriously have the opportunity to review their own data and resources, establish their own plans and benchmarks, and engage their workers and stakeholders. And given that some states (and even cities) are showing increasing interest in moving ahead on pay equity, state legislators may start proposing pay data reports of their own. Those with concerns about the EEOC proposal should be thinking hard about meaningful and effective alternatives and options. Pay data reporting is on the agenda now, and it isn’t going away. http://www.workingideal.com/wp-content/uploads/2017/08/WorkingIdeal_Logo_SQUARE-06.jpg 1042 1042 Pamela Coukos http://www.workingideal.com/wp-content/uploads/2016/12/WorkingIdeal_Logo-RGB-300x155.png Pamela Coukos2017-08-30 13:45:302018-04-15 12:41:53The EEOC report may be on hold, but pay data reporting isn't going away. WASHINGTON, D.C. — Civil rights attorney Cyrus Mehri and national expert on pay equity Pamela Coukos have just launched a new business – Working IDEAL –dedicated to advancing the ideal workplace. The goal is to provide trusted, effective and innovative advice on inclusive workplaces, diverse talent and fair pay to large and small companies, universities, non-profits, unions and other organizations across the nation. “We are living through uncertain times. The shape and role of our government is changing. Protecting core American principles of equal opportunity, free expression, and religious liberty is a pressing national question,” said Cyrus Mehri co-founder of Working IDEAL and founding partner of Mehri & Skalet. “Collectively we have decades of experience of breaking down barriers and Working IDEAL allows us to devise new solutions to drive sustainable change. Working IDEAL envisions a workplace where inclusive culture fosters and promotes diverse talent, and can pay off in strong and sustainable financial performance. It’s where a commitment to pay equity and equal access to opportunities yields a meaningful competitive advantage. And it’s also where the strategic human capital leadership necessary to advance the IDEAL workplace is a top organizational priority. Coukos and Mehri bring extensive experience with law, data analysis, workplace practices, training and development and public engagement. Pam Coukos is a nationally-recognized expert on pay equity who has assessed data and policies at scores of companies, and who led the development of Department of Labor guidance on how to review workplace pay practices. She is an experienced teacher and trainer on workplace discrimination and leadership development, and has worked in the public, private, nonprofit and academic sectors. Cyrus Mehri has developed innovative and effective diversity and inclusion tools across various industries stemming from groundbreaking employment cases that benefit employers and workers. He has worked with major companies and leading organizations to innovate board diversity and accountability strategies and diverse candidate slate requirements (aka “Rooney Rule” policies) that have become best practices. We are living through uncertain times. The shape and role of our government is changing. How to protect core American principles of equal opportunity, free expression, and religious liberty is a pressing national question. And many Americans are worried about the potential erosion of laws and social norms that represent decades of social progress on civil rights. This might be a strange moment to launch a business dedicated to advancing the IDEAL workplace – to seek out clients who already do or will invest in the ideas that drive our mission. These are the workplaces where an inclusive culture fosters and promotes diverse talent and can pay off in strong and sustainable financial performance. These are the employers who know that a commitment to pay equity and equal access to opportunities yields a meaningful competitive advantage. These are the leaders who make strategic human capital a top organizational priority. Perhaps now, more than ever, we need to collectively and publicly embrace these values. Now, more than ever, the private sector and civic society must lead. Consider the role corporate America has played in challenging recent state laws rolling back LGBT protections in Indiana and North Carolina. Or the many businesses that asked the Supreme Court to preserve diversity in college admissions because of the benefits for the workplace and national economy. A recent post-election article asking “who will stand up for diversity and inclusion” discussed how competing for talent at home and abroad increasingly means supporting workplace diversity and inclusion independent of government policies. We believe that many employers remain committed to promoting the IDEAL workplace and we are ready to support them. If you share this mission, let us help you build your strategy to get there. And while we bring our own knowledge and experience, and we can link you with the best experts and resources, we are only adding to what you already have. Our experience representing workers and turning conflicts and challenges into constructive long-term change shows that the people with the most expertise at identifying barriers to equality and potential solutions are already in your workplace. We will leverage and complement that knowledge to help you meet your goals. When Cyrus and I first started thinking about Working IDEAL, we knew we had a shared vision, a particular perspective on what “diversity consulting” should be and a clear set of clients in mind. While we are excited to work with all kinds of organizations – larger and smaller, across the private, academic, nonprofit and union sectors, drawing from established and emerging companies and industries — we are focused on partnering with employers who want to be leaders. We are seeking clients who view legal compliance as a floor and best practices as a given — and strategic human capital as a core element of everyday business practice. While we have come a long way, our journey to the IDEAL workplace is far from complete. It will always be a work in progress, but now more than ever we need to publicly embrace these values. Women make up half the workforce, but the glass ceiling remains a barrier to reaching the top in far too many workplaces. Women still cannot count on being paid what they are worth, or being able to work free from harassment or stereotype. The U.S. is rapidly becoming more diverse but workers can still find that race and ethnicity trump talent, initiative, or experience when they pursue opportunities to perform and to lead. We are broadening our understanding of what equal opportunity should mean – like real accessibility for workers with disabilities and meaningful LGBT inclusion. Our national commitment to a level playing field needs to be reflected in every workplace, for every person. And we know that we need new tools. The rising generation is already expecting work to reflect these IDEAL values, and they will seek out opportunities that align with them. Today’s challenges involve unconscious biases, in-group favoritism and entrenched but often invisible barriers. Meeting them requires hard metrics and data-driven analysis but also engagement strategies and cultural change. Fortunately we have employers who are embracing this challenge, and who are leading the way. We have new research and new analytic strategies that are identifying what works and the true best practices that can drive sustainable change. Our clients are embracing the challenge, and they are pursuing innovative strategies and solutions that can lead the way for others. They are also gaining the benefits, like more effective and competitive human resources practices and stronger performance. If the IDEAL workplace is how you envision your organization’s culture and practices, let’s talk about how we can support you.